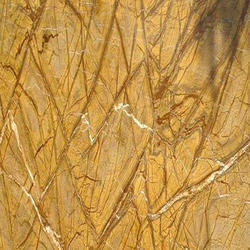 We are engaged in offering a wide range of Rainforest Marble Blocks. These are extensively recommended by various numbers of clients owing to its appealing look, designer appearance and robustness. Maniratna Marble & Granites Pvt. 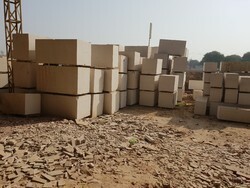 Ltd.
Our organization is offering Natural Marble Block to our clients. These are widely appreciated in the entire domestic and international market for the fine quality of our products. These blocks are sturdy in build and are extremely appreciated in the markets. The company is counted among the leading Manufacturers, Exporters and Suppliers of White Marble Blocks in Makrana. The White Marble Blocks, offered by us, are widely demanded in the global for a wide range of purposes. Available at the market leading prices, these White Marble Blocks are known for their quality. We offer an exclusive range of Agaria Marble to our valued customers. The range is processed using quality raw stones and is known for its hardness, lustrous appearance and smooth finish. The range is processed using quality raw stones and is known for its hardness, lustrous appearance and smooth finish. The marbles enhance the look of the application area making more bright and beautiful. We are the supplier of green marble blocks from our own quarry! Especialised in- Dark Green, Spider Green (Exotic), and Forest Green.